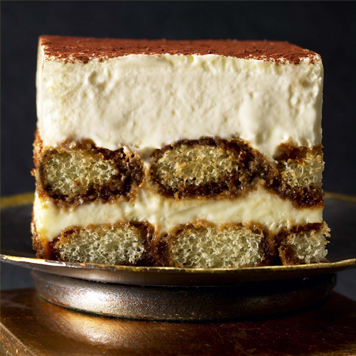 Italy’s most famous dessert, Tiramisu (“Pick-Me-Up” in Italian) is an elegant treat that's not too sweet or too filling. We handcraft ours the old-fashioned way using the finest imported, authentic ingredients. Countless variations exist, but ours is is unmatched in authentic Italian flavor & melt-in-your-mouth quality.